The Structure, Tower and Antenna Council (STAC) has announced that it will host its 2nd annual conference on March 29-30, 2017 at the Scotiabank Convention Centre in Niagara Falls, ON, Canada, and its early registration discount will expire on Nov. 18, 2016. The two-day STAC 2017 event will bring together approximately 400 communications and tower industry professionals, including wireless carriers, broadcasters, engineers, contractors, manufacturers, land owners, safety equipment suppliers and safety trainers, among others. 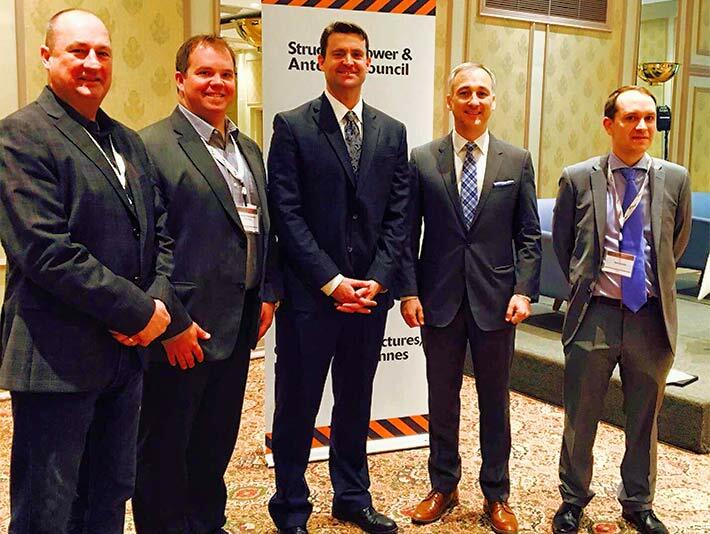 Pictured during April’s inaugural event are (left to right): STAC Steering Committee Co-Chairs Keith Ranney, Bell Canada, and Clay Parchewsky, WesTower; NATE Executive Director Todd Schlekeway; Bernard Lord, Canadian Wireless Telecommunications Association; and STAC Program Manager Nicholas Kyonka. Attendees will learn about new industry practices and technologies, and will receive exclusive information about the development of STAC best practices and other industry resources that are normally only available to STAC Members. If a company becomes a STAC Member before March 1, 2017, they’ll receive a free pass to STAC 2017 plus discounted rates for additional passes. For more information about STAC membership, click here or send us your questions at info@stacouncil.ca. 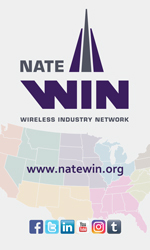 Wireless Estimator will provide additional conference details as they become available. For highlights of last April’s inaugural event, click here.